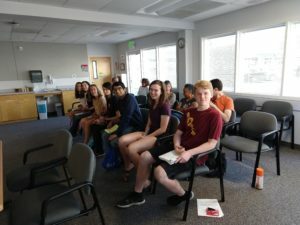 The YouCAN Corvallis youth leaders were invited to join the Corvallis Climate Action Advisory Board on Monday, to engage in formal discussion of collaborative opportunities. Given fifteen minutes on the formal CAAB agenda, the youth leaders nominated two spokespeople to represent them at the table. In front of a room of local citizens, the students presented their newest proposal for climate policy, and then discussed additional ways they can support climate recovery in the City. 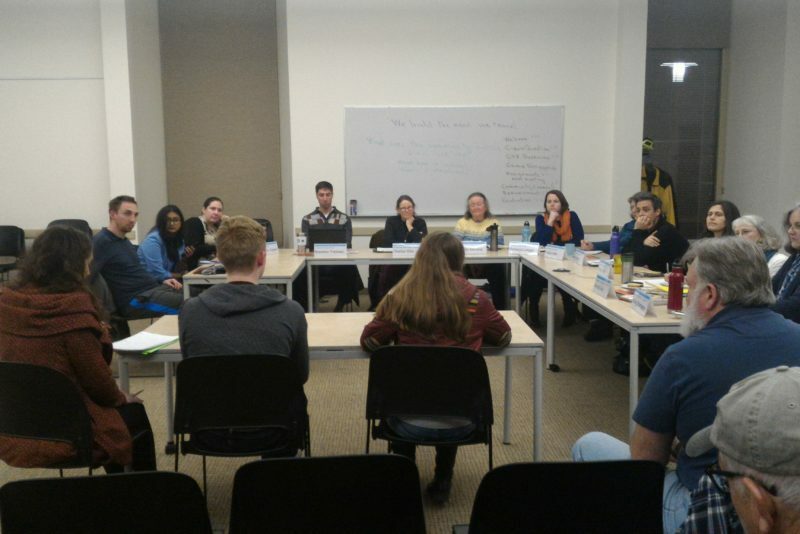 Among the topics addressed were: pressuring the school board to strengthen their climate and sustainability actions, joining additional boards and commissions, and advocating for state climate policy. Benton County Commissioner candidate Max Mania expressed admiration and support for the YouCAN youth during the community comments portion of the meeting. He encouraged the CAAB to support their proposal, and added that they should listen more to these voices for the future.